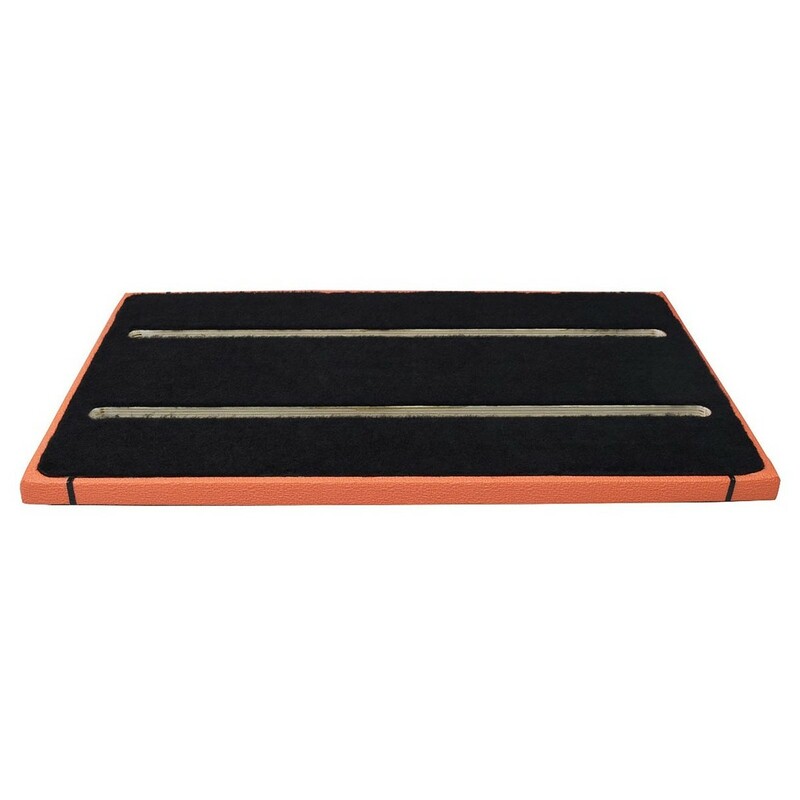 The Ruach Orange Tolex 3 Pedal Board is the second largest board in the orange tolex series, measuring at 61cm x 32cm x 9cm and capable of accommodating up to 12 pedals or 24 nano pedals. The board is also equipped with 2 solderless locking jacks to securely lock the input and output jacks into place, preventing them from disconnecting during performances and interrupting solos. Its stunning orange tolex aesthetic perfectly captures the audience with warm style, while enticing players to deliver earth shattering chords and leads. The Ruach Pedal Board also features plenty of space underneath for players to hide cable sand power supplies, keeping their pedals neat and tidy. 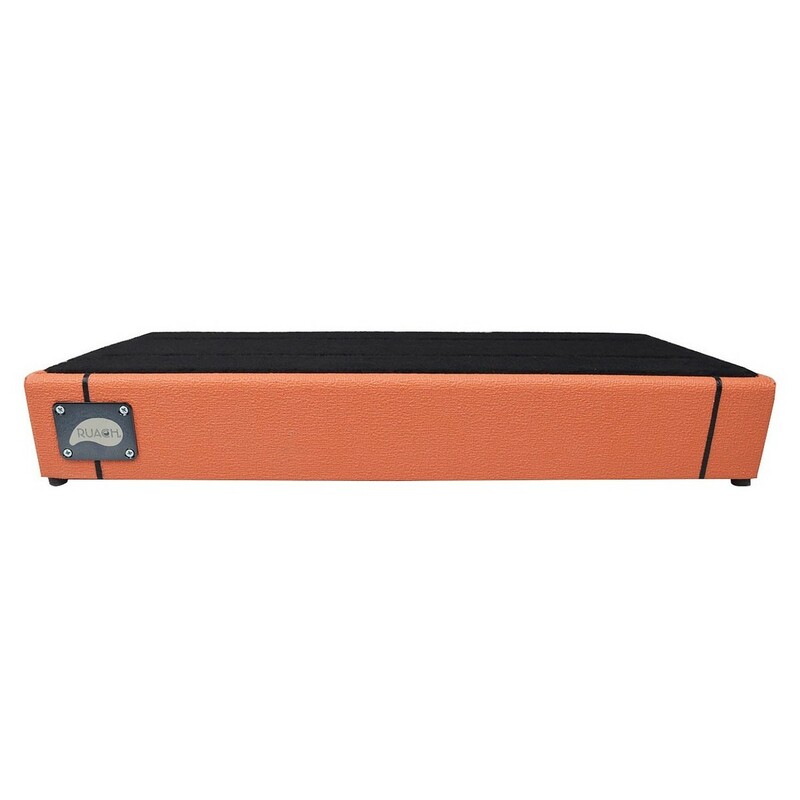 Delivering in a carry case with Velcro strips, the Orange Tolex 3 Pedal board is perfect for gigging musicians with large pedal collections. The Ruach Orange Tolex 3 is a large guitar effects pedal board, designed to simplify your pedal management and allow you to focus on your music. Two solderless locking jacks provide a secure connection for your input and output jacks, whilst eliminating the risk of disconnection during a performance. The Ruach Pedal Board also features an ergonomic slanted design for convenience and ease of use during your performances. The rubber feet offer stability and balance on any surface, making the board a great foundation for your pedals. 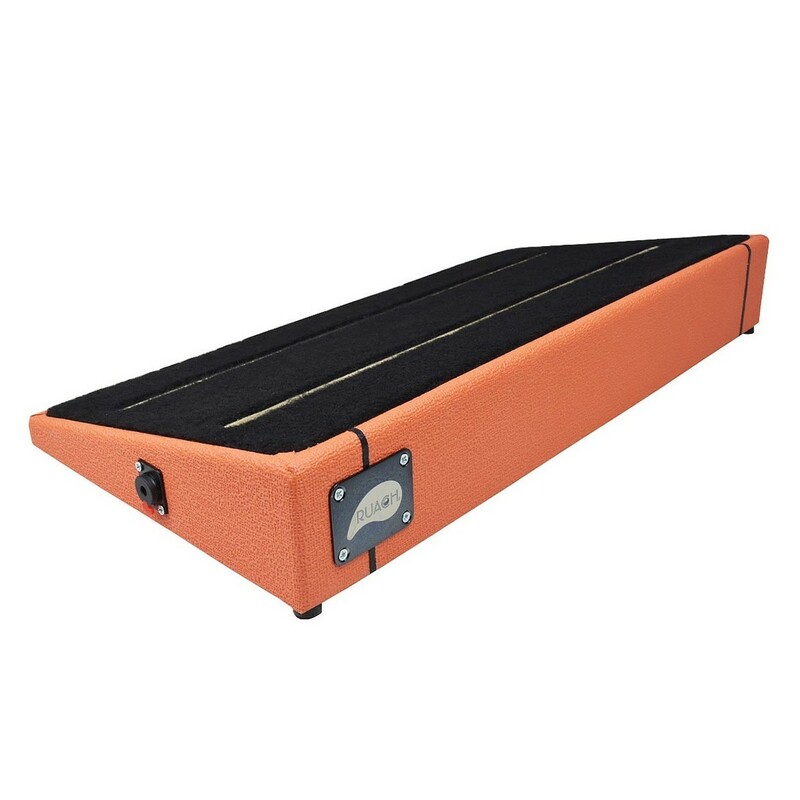 With the option to mount up to 12 large pedals or 24 nano pedals, the Orange Tolex 3 Pedal Board is perfect for any travelling or gigging musician.